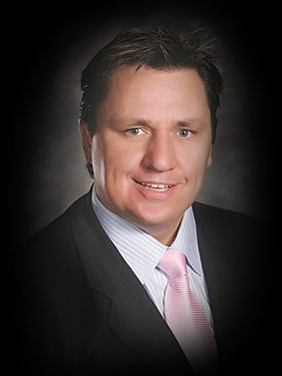 Mike is founder of The McCullough Group and a Settlement Planning Specialist. We value our affiliation with The Settlement Alliance, one of the leading Settlement Companies in the industry. Our main office is located at 600 Jefferson St. Suite 514, Lafayette, LA 70501. We are proud supporters of the National Structured Settlements Trade Association. A structured settlement is simply a mechanism that allows plaintiffs to have a portion of their personal injury or wrongful death settlement paid out in future tax-free periodic payments. The design of the payments is limited only to the imagination giving the plaintiff complete flexibility in securing their financial future. By engaging the services of a Structured Settlement Specialist to address your specific needs and concerns, you can ensure that each of your concerns will be addressed in the settlement process. John Mendoza is a settlement planner with The McCullough Group, an affiliate of The Settlement Alliance. As the founder of Mendoza Settlement Group, John and his team work with plaintiff attorneys in San Antonio, Laredo, and the Rio Grande Valley. John has shared his expertise on a range of personal injury cases including, but not limited to those involving product liability, oil field accidents, 18-wheeler accidents, catastrophic injury, and death. He provides careful guidance for injured victims and their families who want to ensure that their settlements will meet their long-term financial needs. Born and raised in the Rio Grande Valley, John is a graduate of Texas State University in San Marcos. He is an experienced independent financial advisor and has been securities licensed since 1999, when he started his career with Janus Mutual Funds. His years in the financial industry have equipped John with the knowledge needed to best advise attorneys and plaintiffs on structured settlements, wealth management, and insurance. John and his wife Christina are the parents of two teenagers, Joseph and Madison. He is active in the Brownsville, TX community as a member of the Rotary Club, an Assistant Scout Master for Boy Scout Troop 6, and a member of the Church of the Advent, Episcopal. When he’s not helping clients or his community, John is an active outdoorsman who enjoys spending time hunting, fishing, and kayaking. Philip Cripps was involved in the oil and gas industry for over a decade before changing career paths and joining The McCullough Group, an affiliate of The Settlement Alliance. Since his transition, Philip has assisted numerous plaintiff’s attorneys and their clients with a variety of issues, ranging from structured settlements and attorney fee deferrals to Medicare Set-Asides and trust services. It is his passion for helping people and ability to clearly communicate with others that has made him a successful and trusted settlement planner. Phil understands that each client he meets has been through some type of traumatic event, and therefore gives his undivided attention to insure that all of their questions are answered and concerns are addressed. He takes pride in knowing that if the appropriate actions are taken prior to the settlement, it will have a positive and lasting impact on the person’s life. No part of the settlement process is easy, and when one finally receives the settlement, it can sometimes be overwhelming and intimidating. Phil knows the importance of preserving the claimant’s award so that it can provide security and stability for the client and their families. Phil was born and raised in Pineville, Louisiana, and then moved to Lafayette soon after high school. While in Lafayette, he graduated from the University of Louisiana at Lafayette, with a degree in Political Science (Pre-Law). His plan was to attend law school, but after receiving a job offer in the oil industry, he chose to start his professional career a mere one week after graduation. Phil is currently married with two children. Most of his time is dedicated to his family and friends, but when possible he enjoys hunting, fishing and carpentry work. He is also a self-proclaimed chef and has coached his son’s soccer team to multiple championships. Mike McCullough is a Settlement Planner and is affiliated with The Settlement Alliance. Mike works closely with plaintiffs’ attorneys throughout the country to help facilitate lawsuit settlements by offering solutions that benefit all parties involved in the litigation process. His extensive experience enables him to design individualized settlement plans to preserve government benefits while providing for current and future needs of each claimant. For over 15 years, Mike’s expertise has been successfully utilized in all types of litigation, from small claims to some of the largest and most complex claims in the industry. He is one of only a handful of structured settlement brokers in the nation to be designated as a Court-Appointed Structured Settlement Broker for the BP Deepwater Horizon Settlement. Many of the Deepwater Horizon claims are taxable, and as such, Mike works with claimants to determine whether to place their recovery in a structured settlement. Consulting closely with the claimant’s CPA, Mike helps determine which structure will provide the most tax advantages for the claimant. Oftentimes, by spreading the income out over a number of years, claimants can possibly remain in a lower tax bracket. Mike also assists with other settlement-related concerns, including government benefit preservation, trust planning, and building safe and secure retirement plans. Prior to entering the settlement industry, Mike founded GRM Financial, a consulting firm that provided financial management for highly successful individuals and businesses. Mike was also involved in forming Dovetail Financial, a company that provided accounting, computer, and consulting services for small businesses throughout Southern Louisiana. He holds a Bachelor of Science Degree in Finance from the University of Louisiana. For five years now, I have utilized the services of Mike McCullough for taking care of the financial needs of clients who have received significant sums of money through settlement of their claims. Mike provides our clients with a hands on, personal touch that allows both myself, as well as my clients, to have the confidence that their needs will be taken care of in the future. He always meets with the clients, understands their individual needs, and works out a plan that best suits that particular person. I would recommend Mike to any Plaintiffs’ attorney who needs to provide their clients with the very best in financial options. For many years I have used the services of Mike McCullough to handle the needs of my clients when considering and selecting structured settlements in conjunction with the successful resolution of major claims. Mike’s services have been consistently of the highest professional quality. Mike has always provided objective advice without putting “sales” pressure on m y clients. My clients have uniformly expressed appreciation for the services rendered to them by Mike. The James Street Group is an active supporter of our organization. If you have not done so in the past, you should try their services when the need arises. For many years my firm has relied upon Mike McCullough to provide our clients with objective information about structured settlements. Mike’s approach has always been very professional, candid and honest. Mike is very responsive and willing to provide information in all situations. Mike has worked hard to obtain favorable age ratings for our clients and to provide our clients with the best structured settlement options to fit their needs. I unconditionally recommend Mike McCullough to any lawyer that wants to provide their client with information on a structured settlement.